DADiSP / Dataq File is a simple dialog based module designed to easily read and write Dataq data files. Dataq files can be of any size and contain any number of channels. 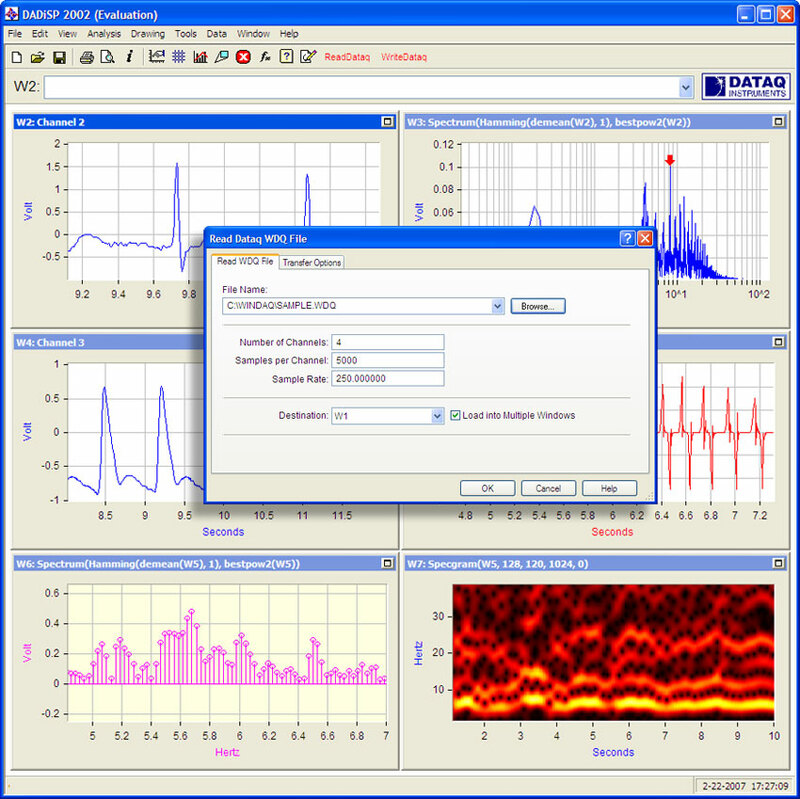 The ReadDataq dialog automatically reads all the channels in a Dataq WDQ, WDC or WDH file and optionally scales the data and sets the sample rate and engineering units. The WriteDataq dialog saves one or more DADiSP series to a WDQ data file. 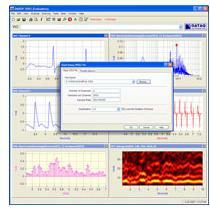 Sample rate, engineering units and conversion parameters are automtically included.